To some people, internet poker seems to have been around for no longer than the proverbial five minutes with a quick break for a cup of tea. 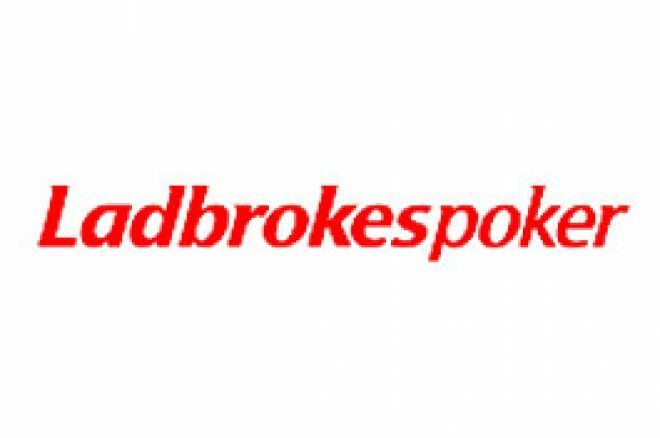 Yet, in a demonstration of the speed at which poker is played online, the sheer numbers of players involved and the simultaneous running of countless tables at all stakes and sizes, Ladbrokes Poker is about to deal its 500,000,000th hand of poker! That is a figure of Stephen Hawkins proportions but nonetheless it remains a hard fact of the poker universe in which we live. In celebration of this landmark, one lucky person is destined to receive a reward for being in the right place at the right time. That person will be the holder of the hand that wins the pot in the 500,000,000th hand dealt at Ladbrokes Poker. For that, the lucky winner will receive $5,000 AND a seat at the exclusive Ladbrokes Poker single table satellite tournament for the WSOP package. Don’t worry if you were in the key hand but lost. You will still receive a share in $1,500, along with the other table dwellers. Hands ending in 444,444, such as 499,444,444, 498,444,444 and so on that remain, will yield a prize of $444 to the winning hand plus another STT seat at the WSOP qualifier. $444 will also be shared between the others at the table. There is still time to win $1,000 if you are the winner of the “million” hands such as 499,000,000 and 498,000,000, with the other table dwellers sharing $500. Every 200,000 hands from 492,300,000 will qualify for a $500 prize for the winner and share $500 to the others. It may be best not to spend time juggling the numbers because one thing is for certain; if you are not playing at the cash tables over the remaining few days leading up to hand number 500,000,000, it is a universal certainty that you will not be in line for the giveaways. Tournaments do not apply for these events and it is necessary for the hands concerned to have more than two players actively dealt cards. If the “magic hands” fall in a tournament, it is carried over to the next cash game hand. However, even if you are a tournament player, at Ladbrokes there are ample qualifiers on offer for seats at the WSOP, the Poker Million V, and later on, the famous Ladbrokes Poker Cruise. Ed note: There are big numbers up for grabs so download Ladbrokes Poker today. Blog Your Way to a Virgin WSOP Seat!